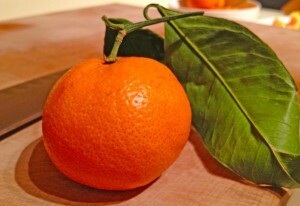 Did you know that clementines are a variety of mandarin orange? They're rather tiny, quite easy to peel, and even the segments come apart smoothly. 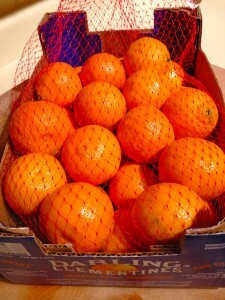 When these tasty winter fruits are in season, they are a great deal when purchased by the box. You can usually get around 25-30 of these little fruits for anywhere between $3.99 to $7.99 per box. That's about .25 cents each, which is less than the price of a candy bar! One clementine has just 35 calories and it contains 60% of your daily supply of vitamin C. It is every bit as filling as a handful of chips, which ring in at 140 calories, or candy bars, which generally have 200-300 calories! The only challenge with clementines is to use them all up before they lose their flavor and turn brown. We've found that a box keeps for about 1 week on the counter or 2 weeks in the refrigerator. Here are 15 different things you can do with mandarin oranges -- aka clementines, mandarins, or satsumas. Keep a few in your car so that you can eat them on the go. This works best in winter. Be sure to bring the fruit only on the actual day that you are running errands. In addition to being tasty snacks, clementines make your car smell great, but remember to bring a napkin and bag along to take care of any mess. Eat 3 clementines after dinner instead of dessert. They will help cut a craving for ice cream. Keep a centerpiece bowl of clementines on the table to encourage more family time. Why not gather to have a treat, then stay to chat? Take them along for breakfast when you're on the go. Bring some to work and fill up your candy jar. 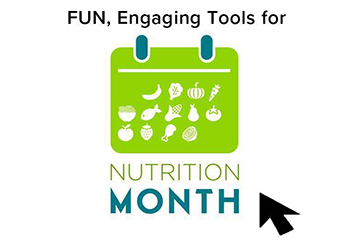 These fruits are way better for you -- and more filling -- than candy anyway. 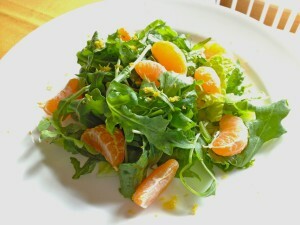 Top a spinach or arugula salad with clementine segments. Make a show-stopping dessert! First, peel and segment a clementine. 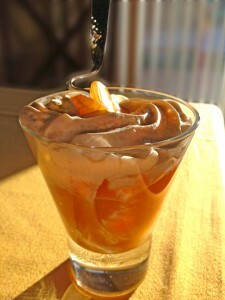 Place the pieces in a fancy glass or bowl, then top with a spoonful of Greek yogurt and a drizzle of caramel sauce. Fill the deli drawer of your refrigerator with clementines. 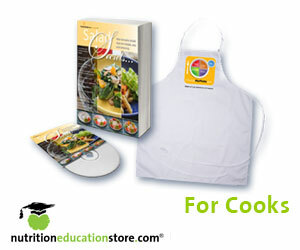 This makes them easy to reach and eat for all family members. What great at-home snacks! Take a 3 clementines to eat after your next workout or hike instead of a sports bar. Three clementines have about 105 calories, whereas most sports bars have at least double that. For ease in eating, you can peel them and put a couple in a Ziploc bag ahead of time. Segment some clementines, juice a few, then bake them with salmon or tilapia. Drizzle with a little olive oil and you have a winner! If you fire up your grill, you can include these with chicken breast and grill them too. Simply place the pieces on foil. No grill? No problem! You can also broil both in the oven. Warm a clementine in the microwave for 10 seconds in the morning. Smile. It is going to be a great day! Pack some clementines in everyone's lunchbox. 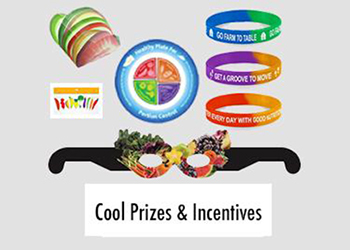 Take them to your next party or for a kids "sport snack" instead of chips. Use them in your muesli. Don't know what muesli is? It is a Swiss-style breakfast made with rolled oats, yogurt, fruits and nuts and there's a great intro recipe in that link. BONUS: Squeeze the juice from a few clementines over salad, along with a tiny drizzle of olive oil. Voila! Now you have a fresh, impromptu dressing that is totally sodium-free. Did you know that satsumas are a variety of mandarin orange? They are a little larger in size, easier to peel, and they have a stronger perfume. We find them to be similar in taste to tangerines. 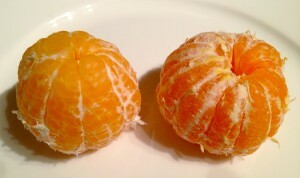 Here is a clementine and a satsuma, side by side after being peeled. Can you guess which is which? The clementine is on the left and the satsuma is on the right. Here is a Cara Cara orange. 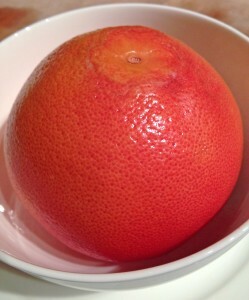 It is a red-fleshed navel orange that looks like a grapefruit when you cut it. They are very sweet. 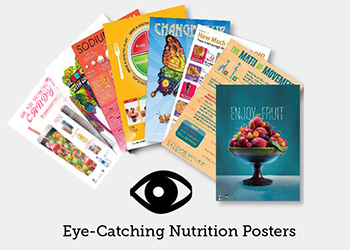 These come from South America and are found in grocery stores and specialty food markets. 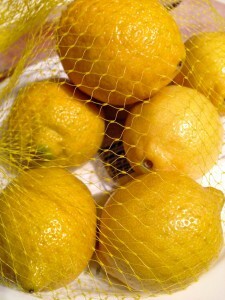 Our favorite citrus bargain is a bulk bag of lemons. The more we buy, the more we use. Lemon juice is great over salads, chicken, turkey, fish, and veggies. And lemon wedges add style and flavor to water and tea. Lemons are some of our favorite ingredients. Check out our amazing salad recipe below. Looking for something sweet? 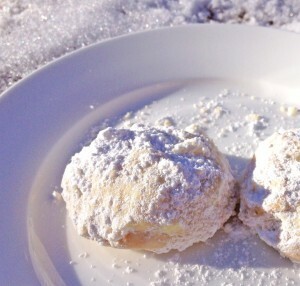 Scroll down for a link to the recipe for our lower-calorie lemon cookies! 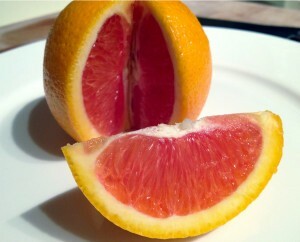 The ruby red grapefruit is also a jewel in our fruit drawer. One whole grapefruit only contains 120 calories and it has 200% of the daily supply of Vitamin C, 4 grams of fiber, and no added fat, sodium, or cholesterol. Warming it up in the microwave before or after slicing makes it a great treat in the morning. It's also phenomenal for lunch or dinner when served on a salad. Plus, grapefruit is easy to make it into a dessert. Simply broil it with a little honey or brown sugar and then drizzle the hot fruit with caramel sauce. You could also serve it with a tiny scoop of lemon sorbet and fresh mint. Citrus after dinner tends to calm the ice cream and chocolate cravings later in the evening, so it's a perfect tool if you are trying to watch your calorie intake. 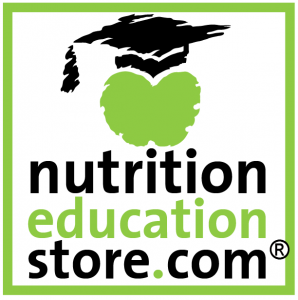 This post is brought to you by the Nutrition Education Store -- the perfect source for any and all of your food and health education needs. 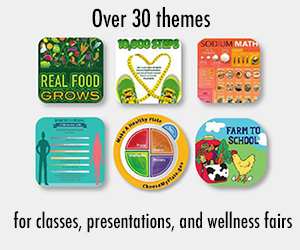 Check out some of our favorite products below!